Fort Lauderdale real estate is among the most valuable in South Florida, but it does have its particular hotspots that seem to attract a little more attention than other areas. The Las Olas area continues to draw many people and it is considered part of the city’s lively downtown area. New developments are constantly emerging in the city, joining classic buildings like the Las Olas River House and more. 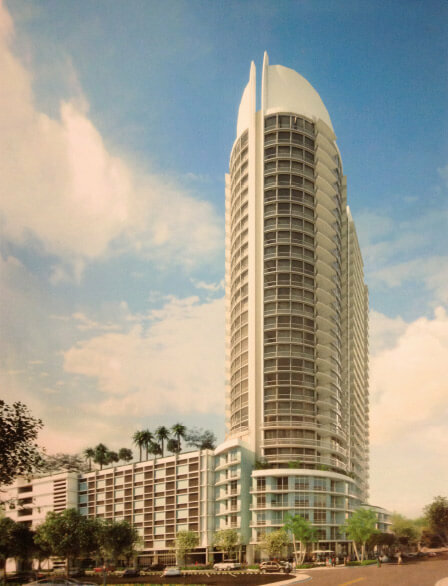 The upcoming Amaray Las Olas set to open in the spring is one of the newest projects set to be built on the corner of Las Olas Boulevard and Federal Highway. The thirty story building by the Rockefeller Group developer features 26 distinct floor plans that include studio residences or larger three bedroom, three bathroom units. Some of the residential features include floor to ceiling windows while amenities include a billiard lounge, a dog spa and park, a swimming pool, yoga studio, and coffee bar. Amaray Las Olas units range in size from 768 to 2,450 square feet. The building recently began leasing apartments, with monthly rents ranging between $2,000 to $5,800. While the building is open to everyone, the target audience are professionals looking for a large residence that requires little home maintenance duties.